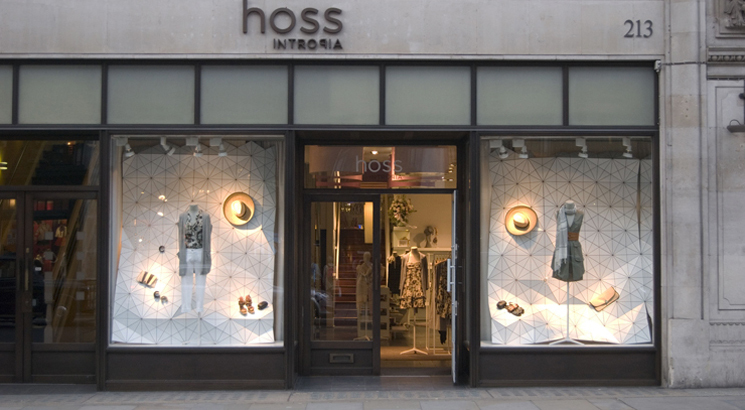 As part in the 2011 Regent Street Windows Festival, we were chosen by Hoss Intropia, a Spanish women’s clothing boutique, to work with them to come up with a design for their shop window. Our idea was to design a installation, which could be configured in many different ways to display the collection, and which would create the maximum visual impact available for the set budget. 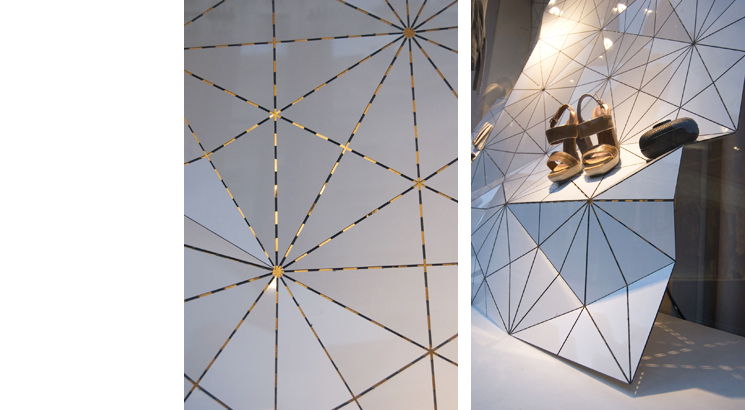 Through a route of dedicated, intuitive experimentation and making of mock ups we developed a pattern based on the repetition of an identical triangle to form a complex geometry that, depending on its materiality, jointing and scale would behave in different, interesting ways. 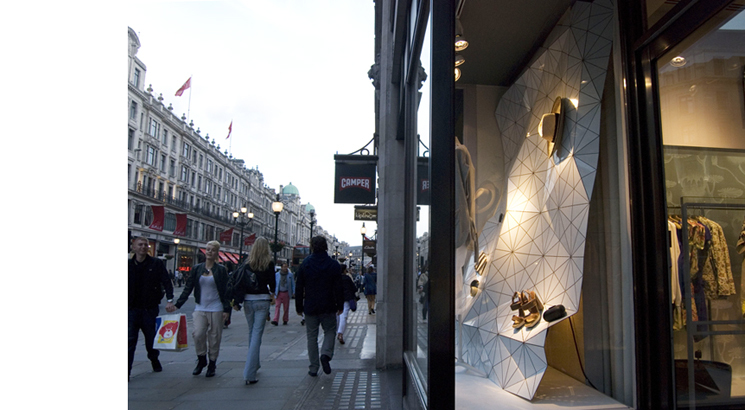 Millimetre, a Brighton based fabricator, helped us to develop the material solution to realise this concept and fabricated and installed the display. 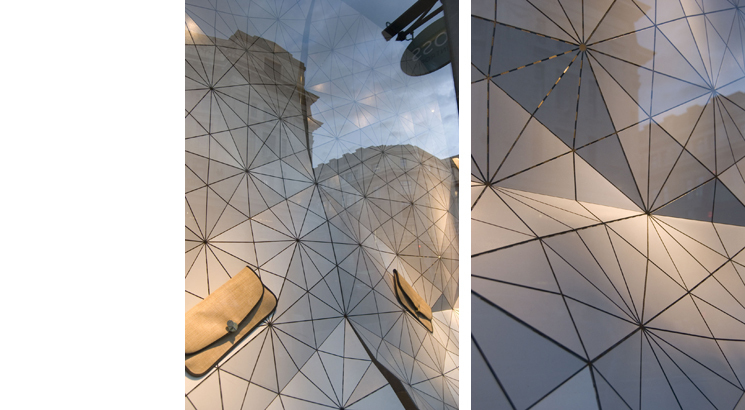 The final display is made using alupanel, an aluminium and polyethylene composite sheet material. The geometrical pattern is etched into the sheet and each panel is manipulated to form a complex, three dimensional, display for clothing and accessories. 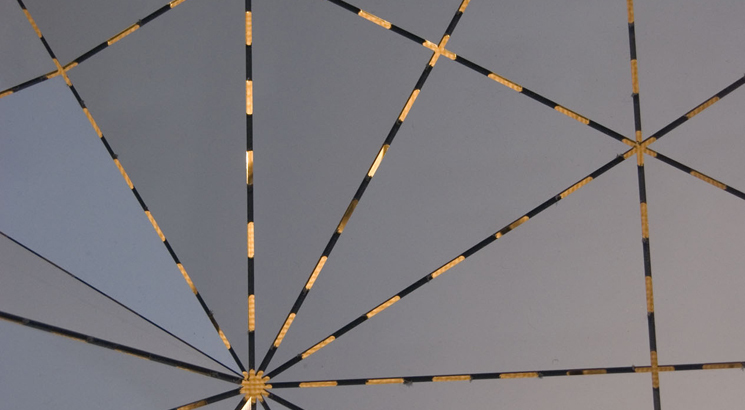 Perforations in the joints and a golden iridescent finish transform the display from a shimmering surface in the day to a backlit silhouette at night.